Connoisseur of all things cheesy, chef Eric Greenspan has brought his savory grilled cheese sandwiches to Melrose Avenue. Satisfy your hunger pangs with toasted bread, oozing melted cheese and a slew of creative concoctions for one great, all-American sandwich. 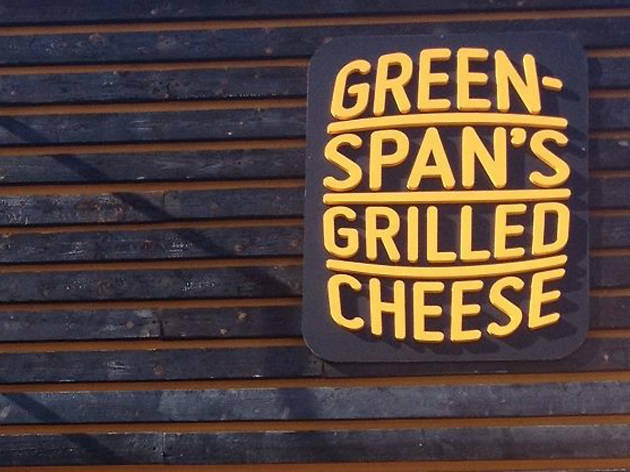 It has grilled cheese in the name, people—they know what they're doing. 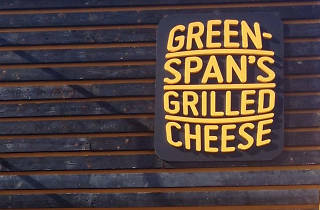 Greenspan's is a solid choice in a neighborhood lacking a lot of grab and go food. That said, it's not revolutionary--it's good grilled cheese, but it's not life changing. Their best sandwich is the Umbrella, which is technically only on the menu next door at Melrose Umbrella Company. The potato latke bites are delicious and highly recommended.